Blizzard may be hinting at Wrecking Ball receiving a new highlight intro for the Storm Rising event. The intro is a reference to the classic "Dramatic Chipmunk" viral video from 2007 YouTube. 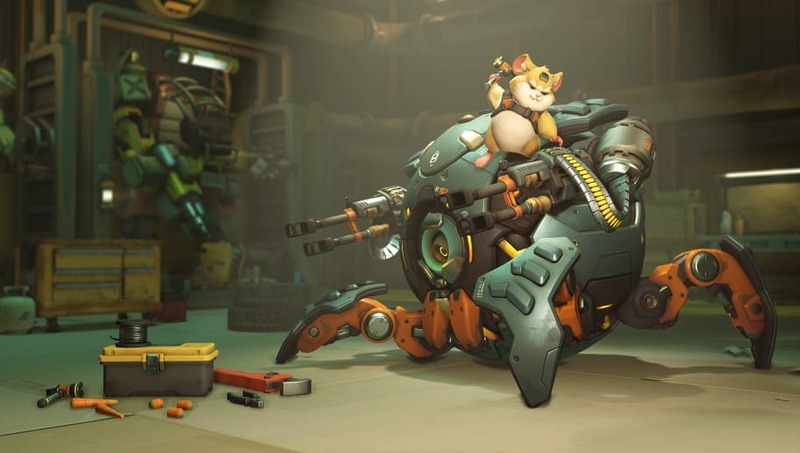 In the tweet above, Overwatch's official Twitter account posts a gif of Hammond the hamster outside of his Wrecking Ball. He seems to be looking at something before suddenly turning over his shoulder to stare at the viewer. Although Hammond is a hamster, this is clearly a throwback reference to the Dramatic Chipmunk, one of the first viral videos on the internet. The six second clip of a chipmunk turning his head to the tune of dramatic music has been seen by pretty much everyone on the internet and is equivalent to the likes of "Charlie Bit My Finger" and "Nyan Cat". It is cool that Blizzard is paying tribute to the early days of internet culture and Hammond's highlight intro will probably be one of the most coveted items to come out of this year's Archives event. Wrecking Ball already has a new legendary skin for the Storm Rising event, the High Roller. Other heroes who will get new cosmetics include Moira, who dons her lab coat once again.